Almost everyone nowadays requires to access a personal computer for several reasons. Computers have been one of the most popular and important parts of our lives since the onset of this century. Undoubtedly computers have evolved over the years and different innovations have been brought in. But, in spite of all that modern innovations and changes, problems like Windows host process rundll32 and critical process died seems to persist and that too in various ways. One such very common Windows error is windows host process rundll32. It can take up high disk usage on your computer. It might keep popping up and interrupt your PC usage. Have you faced this problem? Yes? Then you are looking for a solution, right? 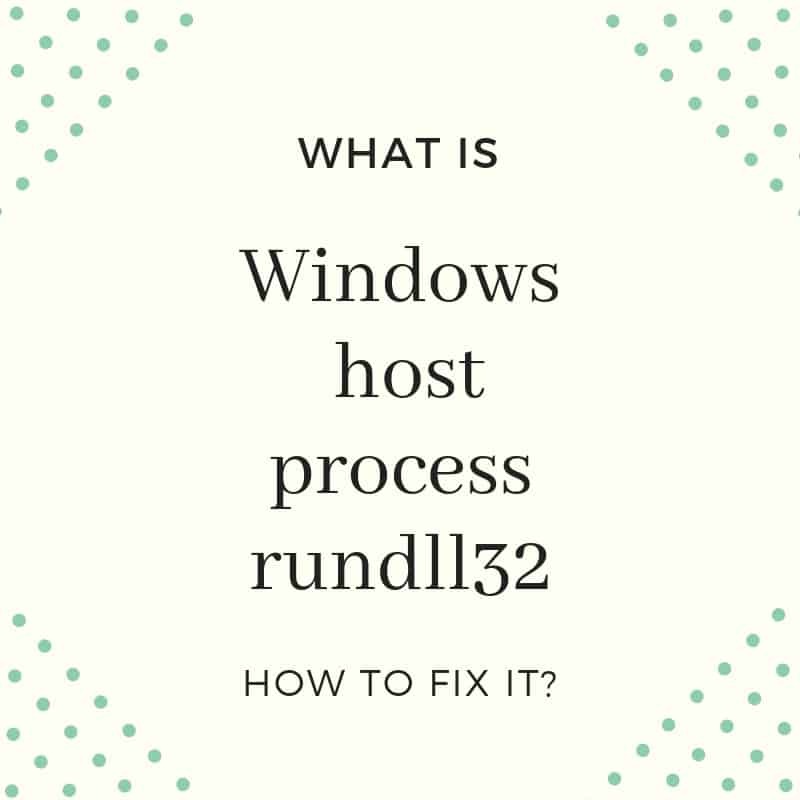 In this article, we will be talking about what is Windows Host Process rundll32 error and how you can effectively fix it. What is the Windows Host Process rundll32? If you use your Windows for long hours throughout the day, you must have seen thousands of .dll files present everywhere in different storage space. These are pieces of common logic which can be easily accessed for multiple times by the user. However, you cannot run a .dll file on itself independently and therefore, a rundll32.exe application is used for accessing the data in those DLL files. Now, if the windows use only of such application then it does not create any problem. But if you see multiple rundll32.exe application running then you would want to stop them. This is because all of those applications use up the CPU power and space, whereas sometimes even viruses run in the background taking up such a name. How to fix Windows Host Process rundll32 not working? Well, there are several ways by which you can stop all the rundll32.exe applications running on your system. Here are some of the methods which are really effective. The first thing you must do is to run a full system virus scan using a reputed and effective antivirus. This will help you to detect any kind of spyware threat that might have affected your system and is causing the applications to run. After the scan is finished, reboot your computer and check the results. You should be fine again. The legitimate rundll32.exe file is located in C:\Windows\System32\rundll32.exe. So if you find out any kind of rundll32.exe file running that does not lead you back here, stop them by using the task manager. Open the task manager and go to Applications or Services and search for all the illegitimate applications and shut them. If all else fails, even after carrying out both these steps, you have no other option but to format your Windows. Formatting the PC will clear all the malicious and as well as other files as well. So make sure you take a backup of all those important data you have. So here are the effective ways by which you can solve the Windows Host Process rundll32 problem. The problem is really irritating because it turns your windows into a laggy machine and it becomes difficult to work at such slow speed rates. Hence follow the steps we discussed in the above section.